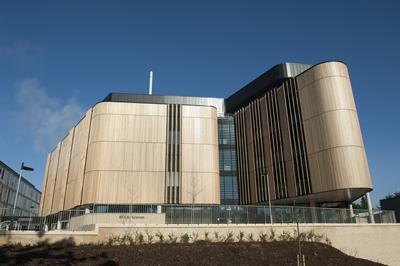 The University of Southampton’s Life Sciences building has been awarded a top architectural prize. The Royal Institute of British Architects (RIBA) awards are presented to buildings that have high architectural standards and make a substantial contribution to the local environment. The Life Sciences building has been recognised by RIBA for its 2011 Awards along with three others in the south of England. 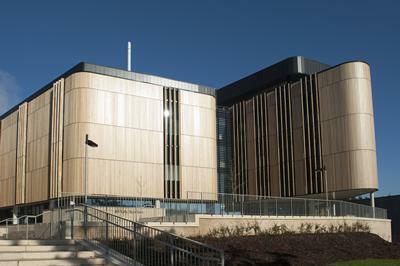 The £50 million investment on the Highfield campus opened in September 2010. It provides a new integrated research base where life sciences staff and students can expand their academic interests and activities by working with scientists and engineers from other areas within the University. Commenting on its design by architects NBBJ, the RIBA judges said: “The building is active at every level – well lit, with intriguing perspectives and it works well environmentally and, just as importantly, acoustically. Kevin Monaghan, the University’s Director of Estates and Facilities added: “The new Life Sciences building enhances our Highfield campus and makes a clear statement about how we are delivering 21st century science in a sustainable and inspiring physical environment. The Life Sciences building is now eligible to be shortlisted for the RIBA Stirling Prize for building of the year, which is announced in October 2011.